To the right you will find three different versions of my website. The first one is what the site originally looked like. 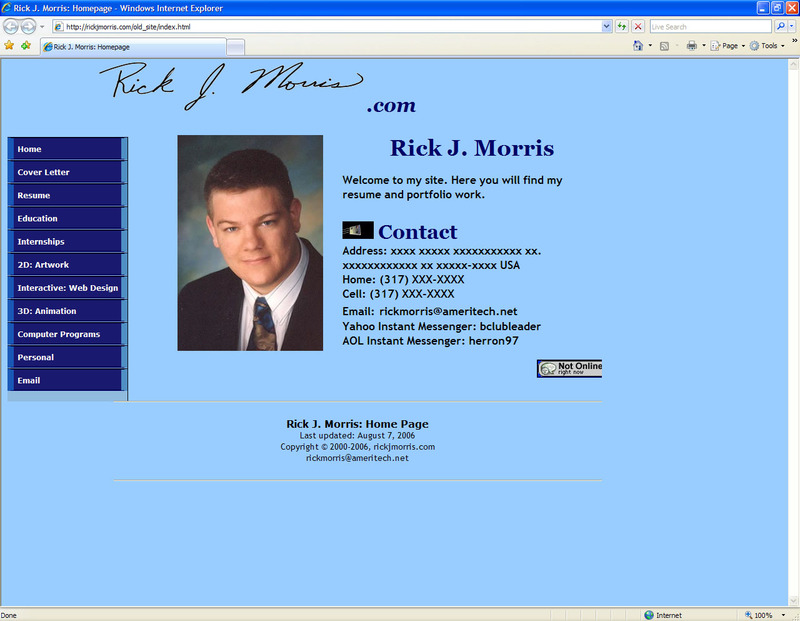 It was my very first attempt at a homepage. 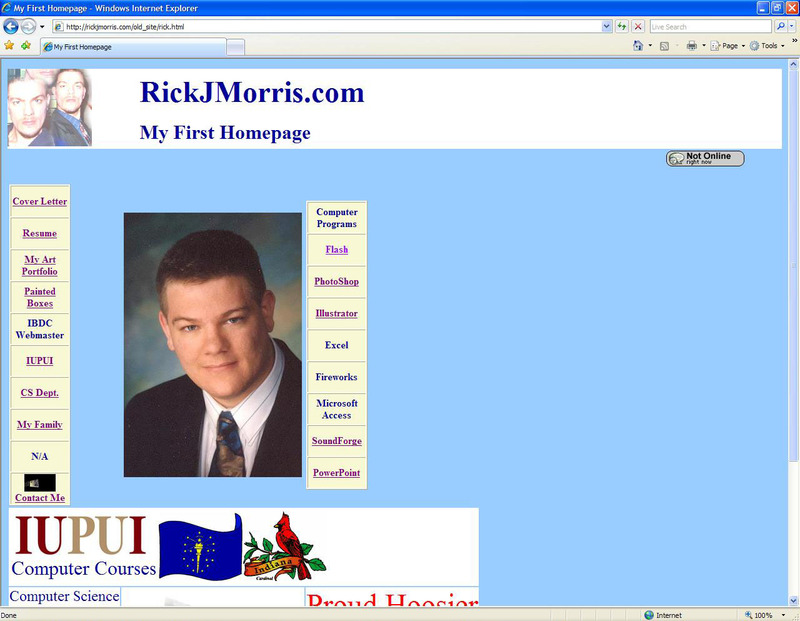 As I took more classes I developed a second homepage. I incorporate navigational menus that I learned from taking a class at IT Training and at my internship when I worked for IHETS. 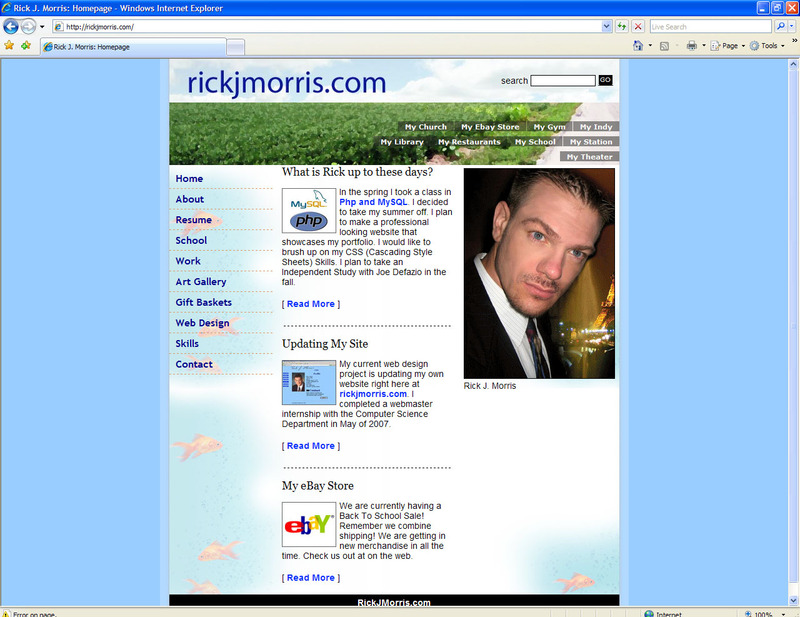 My current web design project is updating my own website right here at rickjmorris.com. I completed a webmaster internship with the Computer Science Department in May of 2007. I am now adapting what I have learned into my own website. I find that the php includes help in the updating process. I also discovered a cool new way to use php in creating an email forum. I plan to make a professional looking website that showcases my portfolio. I am having fun! It is looking better everyday.